My colleague Jane Hart recently shared the diagram below on her blog. It shows the relationship between relative value and relative autonomy as they relate to different approaches for learning in the modern workplace. Jane’s diagram shows the increasing value that can be released through exploiting learning opportunities beyond ‘the course’ and the curriculum. Initially expanding from courses to resources and then further out to the exploitation of social collaboration and personal learning (and personal knowledge mastery). It struck me that Jane’s model closely aligned with others I’ve used to help explain the increase in realised value brought about by the use of experiential, social and workplace learning. I have mapped the elements of the 70:20:10 model at the bottom to show the link with the next model. 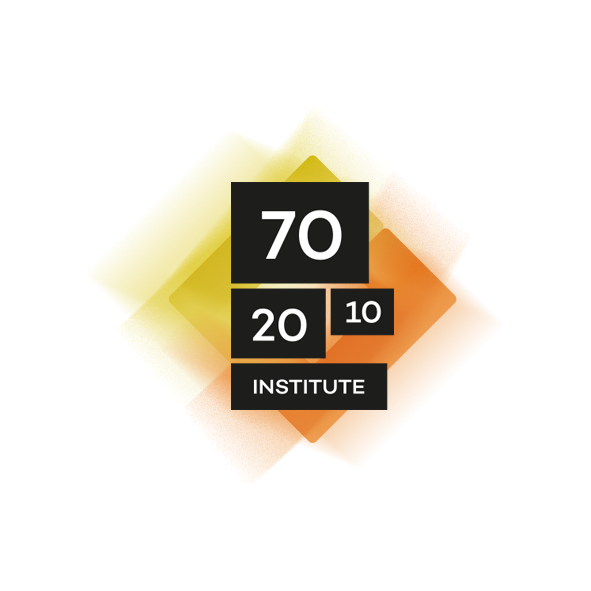 The 70:20:10 model is a strategy and set of practices to extend learning into the workflow. The principle is that in the new working environment learning is the work. Harold Jarche has written extensively about the merging of work and learning. I see the 70:20:10 model as reflecting, to some extent, IBM’s model. Exploiting and extending learning opportunities from point solutions (learning events) to continuous development (learning as a process and part of the daily workflow) to increase value. Organisations that are able to move in this direction, and have the HR and L&D teams to facilitate and support the move, will extract far greater value from workforce development than those that can’t. This model, the ‘Jennings & Reid-Dodick C-Curve’, was developed in the early stages of an L&D transformation for a Global FTSE100 company more than a decade ago. It links to Jane’s diagram at the top of this post and maps autonomy against strategic alignment. this model was developed to define the journey for the L&D transformation – firstly centralising standards and processes, and building a consistent performance consulting approach, then strengthening governance, and finally ‘federalising’ to provide the autonomy needed for agility, responsiveness and sustainability. The C-Curve is based on the principle that the end-point for an effective L&D department is where the various units (which may be regional or functional) are tightly strategically organisationally aligned, but also have the level of autonomy that encourages them to be agile and pro-active. Many organisations flip-flop between centralised L&D and distributed L&D. The cycle tends to have a frequency of about 5-8 years. Every 5-8 years an HRD or CEO decides to centralise, or to push L&D back into ‘the business’ – depending on the current operating model. Then, 5-8 years after that change, L&D is de-centralised/centralised once again. The C-Curve model addresses this ‘flipping’ problem. The fundamental issue isn’t where the various L&D resources are sitting, but how they are aligned strategically and how responsive they are able to be. Simply flipping the organisational structure and reporting lines will do nothing to address the fundamental issue. Some years ago Harold Jarche and I talked about the ‘C’ Curve model. Harold then aligned it with a framework he had developed for supporting effective social learning (in the context of several models – including Snowden’s Cynefin and Ronfeldt’s TIMN). Harold mapped the autonomy/strategic alignment axes of the C-Curve against knowledge acquisition models. As John Reid-Dodick and I concluded back in 2004, Harold came to the conclusion that a jump straight from Stage 1 to Stage 4 is unlikely to succeed and that it requires a journey through at least some other stages to reach the end-point. Harold’s full article is well worth studying.